England centre Tuilagi scored his first Premiership try since the opening day of last season in Leicester’s defeat to Bath. Bath stole Manu Tuilagi’s thunder as they claimed a first Aviva Premiership victory at Welford Road for 14 years. 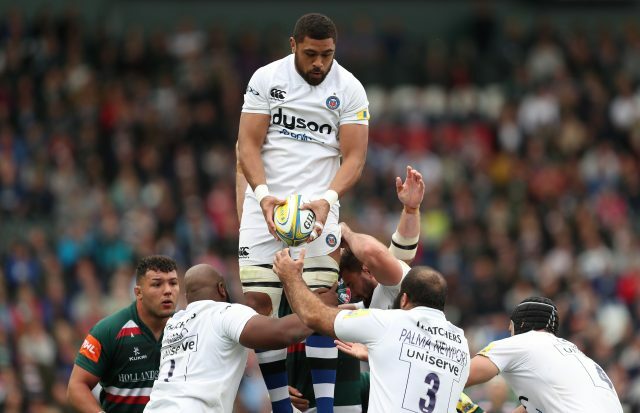 England centre Tuilagi scored his first Premiership try since the opening day of last season as he started a first competitive Leicester game for eight months, but Bath were not to be denied as they thwarted a late Leicester fightback and claimed a 27-23 win. Bath’s Wales-born centre Max Clark touched down twice in the first half, while wing Semesa Rokoduguni posted an 80-metre interception score and fly-half Rhys Priestland added all three conversions, plus two penalties. I knew @rocco3225 was quick but he was shifting there!!! ??? ?might have to challenge him for my next race ???????? Much of the pre-match hype had been about Leicester’s midfield pairing Manu Tuilagi and Matt Toomua starting together as they both returned from long-term injuries, but it was the unheralded 21-year-old who stole their thunder, scoring two tries in six first-half minutes to set Bath off and running towards an outstanding victory. Although it came in defeat, it was impossible not to note Tuilagi’s first Premiership try since the opening day of last season. Tuilagi, sidelined by a serious knee injury for eight months, powered over for a touchdown after 25 minutes and his team-mates celebrated jubilantly around him as the midfield dynamo announced his return. 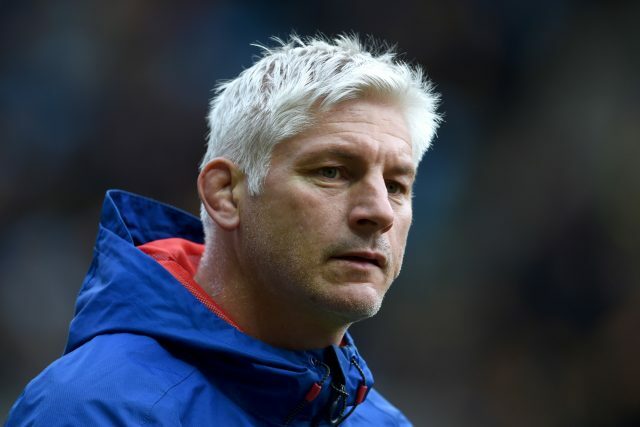 Bath arrived at Welford Road having not won a Premiership game on Leicester soil since 2003, but they buried that ghost to ensure an outstanding start to the league campaign before hosting European champions Saracens next Saturday. Leicester: Telusa Veainu 6, Nick Malouf 6, Manu Tuilagi 7, Matt Toomua 7, Jonny May 8, George Ford 7, Ben Youngs 7, Ellis Genge 7, Tom Youngs 6, Logovi’i Mulipola 6, Dom Barrow 7, Graham Kitchener 6, Dominic Ryan 6, Brendon O’Connor 7, Sione Kalamafoni 6. Replacements: Harry Thacker 6, Greg Bateman 6, Dan Cole 6, Mike Williams 6, Luke Hamilton 6, Sam Harrison 6. Bath: Anthony Watson 7, Semesa Rokoduguni 7, Jonathan Joseph 7, Max Clark 8, Matt Banahan 7, Rhys Priestland 8, Chris Cook 7, Beno Obano 6, Tom Dunn 7, Kane Palma-Newport 6, Luke Charteris 7, Elliott Stooke 6, Matt Garvey 7, Francois Louw 6, Taulupe Faletau 8. Replacements: Jack Walker 6, Nick Auterac 7, Anthony Perenise 6, James Phillips 6, Paul Grant 6, Kahn Fotuali’i 6, Ben Tapuai 6.